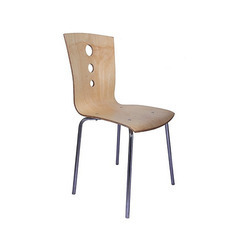 We are the leading manufacturer and Supplier of Cafe Furniture made from high quality material. Restaurant Table, Toughened Glass Top, Oval Pipe Frame Toughened Glass Size: 1350 x 750mmThickness: 12mm (Lower Glass 6mm) Chrome Plated. 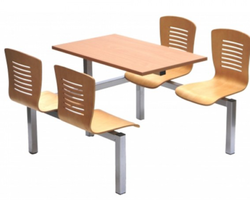 We are engaged in offering a quality approved range of Canteen Table And Chair Set.